During an unfortunate series of events a friend of Kung Fury is assassinated by the most dangerous kung fu master criminal of all time; Adolf Hitler, a.k.a Kung Führer. Kung Fury decides to travel back in time, to Nazi Germany, in order to kill Hitler and end the Nazi empire once and for all. Kung Fury is a visually spectacular action comedy that has its foundation in ’80s cop movies. 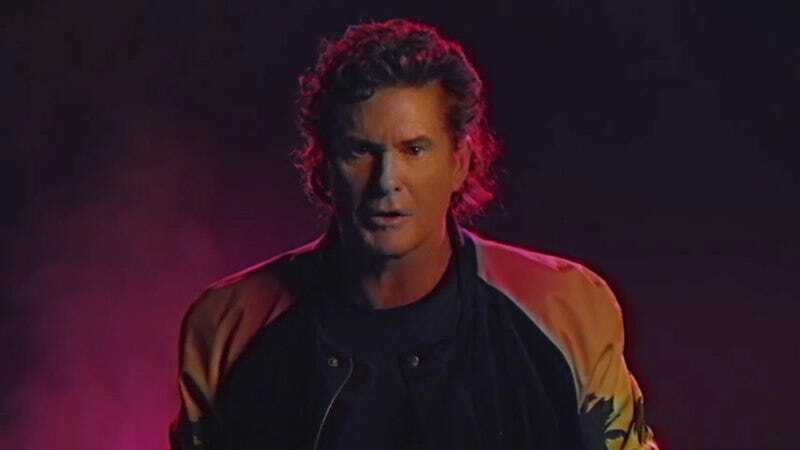 In advance of the film’s release, the filmmakers have created and posted a music video, with David Hasselhoff performing the track “True Survivor.” The song was written by Jörgen Elofsson and Mitch Murder while the video features post-apocalyptic street punks, the Nintendo Power Glove, dinosaurs, explosions, giant vikings, and The Hoff mugging as he shows off some sweet moves of his own.